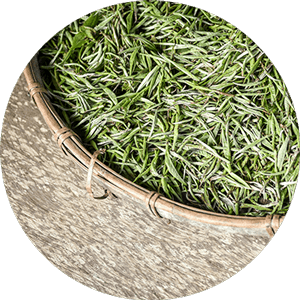 Invigorating tea from the Thai highlands. 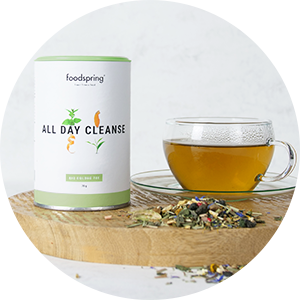 Our All Day Cleanse Tea combines the best oolong tea from the mountain valleys of northern Thailand with lemongrass, ginger, orange peel, stinging nettles, moringa leaves, turmeric and other wonderful ingredients that help fight the stresses of everyday life. This tea will completely reset your body and soul. Make the whole day a feel-good day. One of the best of its kind. Our oolong tea is one of the best of its kind. 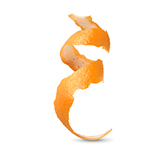 It doesn't just taste green, but also naturally has a subtle fruity note. Caramelised apples, plums and raisins add an extra special touch. Our hand-selected oolong tea is first shaken in bamboo barrels to achieve gentle oxidation and incorporate these unique, one-of-a-kind flavours. It is then only half-fermented at a cool temperature. 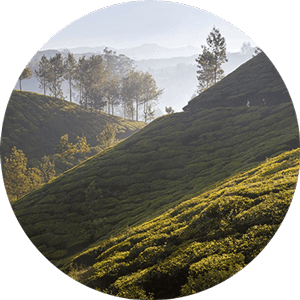 That is how we get the best out of our premium teas. Gentle processing. For premium organic quality. Cultivation in sunny northern Thailand. Gentle drying in the sun. 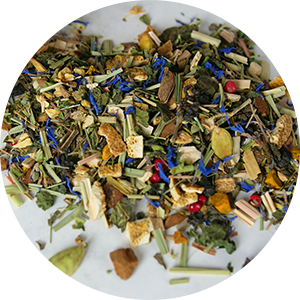 The power of our fruity and floral oolong tea meets refreshing lemongrass, strong ginger, fine orange, elegant dandelion, herbal stinging nettles, soft cinnamon bark and other valuable ingredients that will not only benefit your body; your taste buds will love it too. Additional flavourings? We don't use any of those. Nature provides all of the most delicious ingredients. Energise your body and soul to take on any challenge with ease. For those feel good moments. The favourite herb in every Ayurvedic kitchen. Well-being for the body & soul. Oolong tea has always been well-known for its benefits. The valuable ingredients reset your body and help you remain present. 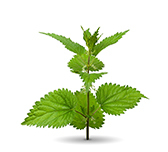 Stress doesn't stand a chance against nettle, orange and other ingredients. So you can focus on what really matters to you. This is how to make the perfect tea. Add one teaspoon to 200 ml of 100°C boiling water and let stand for five minutes. Enjoy your tea the way it is. Or add your own personal touch to your tea. For example, with a splash of lemon. A shot of agave syrup. Or a teaspoon of honey. How many cups of tea does All Day Cleanse Tea make? It depends on how large your teaspoon is and how much you heap it. If you follow our recommendation and use two teaspoons per 200 ml of water – so one cup of tea – then you should get at least 20 cups of tea out of it, maybe even a few more. When adjusted to our tea bottle that means: 10–11 full bottles of tea. Does All Day Cleanse Tea contain caffeine? Yes. 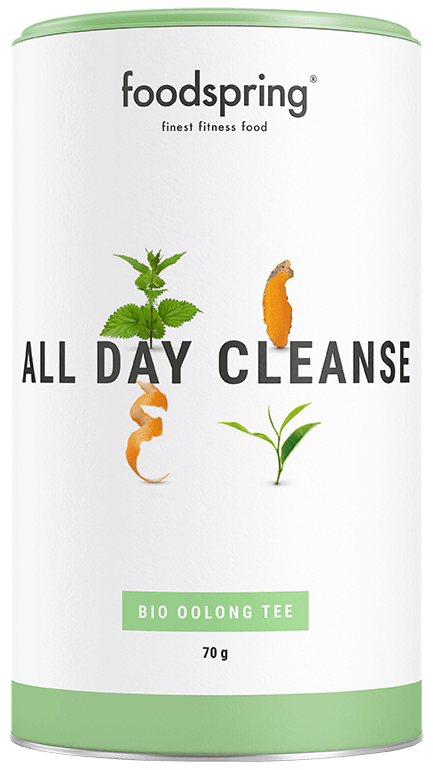 Our All Day Cleanse Tea contains oolong tea and green tea. Both contain caffeine. Caffeine in tea used to be referred to as "theine". This gave the impression that green tea was caffeine-free. That is wrong. The term “theine" is considered old-fashioned nowadays. Why don’t you use any flavourings? 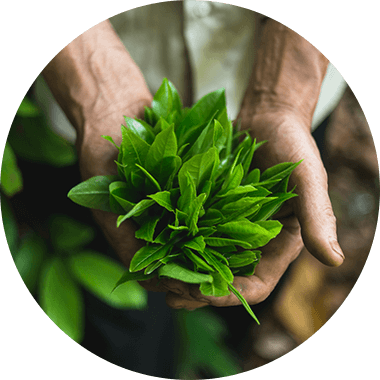 We only use high-quality organic ingredients for our teas. Their premium quality and gentle processing ensure that each individual ingredient can develop its own full, unadulterated flavour. All other flavourings are therefore simply not necessary. They would only serve to mute the natural flavours. Tastes vary. Because drinking tea is all about enjoyment, it is important to us that our tea has the right flavour. Loose tea has a distinct advantage over teabags: You can adjust the strength just the way you like it. Aside from that, each teabag that we don't use is one less piece of rubbish that doesn't need to be disposed of. What is the best way to prepare All Day Cleanse Tea? Either with a tea strainer or a reusable teabag in a mug. 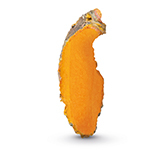 We recommend a teaspoon of All Day Cleanse Tea for 200 ml of water. The water should be boiled to 100°C when you pour it. It is best to pour the water over the tea as soon as your kettle has finished boiling. Then simply let it steep for five minutes and remove the strainer. Can I drink All Day Cleanse Tea in the evening as well? Theoretically, yes. 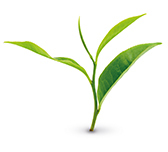 All Day Cleanse Tea does, however, contain oolong tea and green tea – both of which contain caffeine. If you are sensitive to caffeine, then we recommend drinking our Evening Relax Tea in the evening. It will help you to leave the stress of your day behind and settle into a peaceful night’s sleep. Functional tea will be back in stock shortly.